Bill Shuster (born as William Shuster in McKeesport, Pennsylvania) is a famous Politician from USA, he is 59 years old and still alive, born January 10, 1960. William "Bill" Shuster is an American Republican politician. He represents the state of Pennsylvania's ninth district in the U.S. House of Representatives since 2001. He succeeded his father, Bud Shuster who was congressman from 1973 to 2001. Shuster graduated in 1983 his undergraduate degree at Dickinson College. He received his MBA in 1987 at American University. Father Bud Shuster resigned in 2001 as congressman. 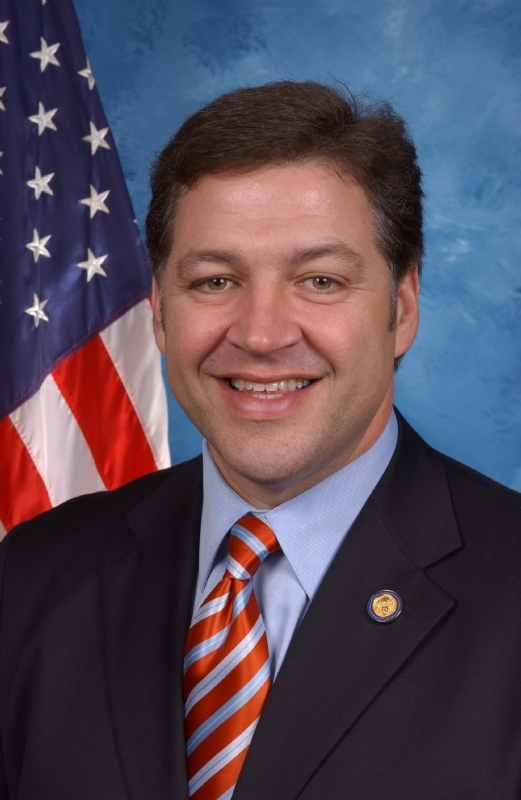 Bill Shuster won the by-election to succeed his father. Shuster is a Lutheran and Masons. He and his wife Rebecca have two children. He is born under the zodiac capricorn, who is known for Determination, Dominance, Perservering, Practical, Willful. Our collection contains 20 quotes who is written / told by Bill. "We spend millions of dollars per year supplying more than adequate meals and a Koran to every detainee along with a prayer rug that meets their religious standards"
"Our veterans accepted the responsibility to defend America and uphold our values when duty called"
"Our military commanders have said over and over again that a timetable for withdrawal sends the wrong message to our troops, but more importantly to our enemy"
"However, the Department of Defense treats these detainees in accord with the Geneva Convention, even though that is not required because of the inhumane methods used by these killers"
"Central and western Pennsylvania has one of the best workforces in the country and this will provide job training, new skills and additional resources for those trying to find a job"
"Many of the vicious criminals held there have been caught on the battlefield fighting against American troops and shutting down Guantanamo Bay would just require the military to move them elsewhere"
"It is only reasonable that our laws do not force our country to provide safe harbor to those individuals that are being sought out by their governments due to their terrorist ties"
"America's veterans and troops serving abroad today fought hard to preserve our red, white and blue, from the Revolutionary War to today's Global War Against Terrorism, and Congress' action today is appropriate for one of our most sacred symbols"
"Our national security is at risk when we rely on foreign oil to keep our economy moving forward"
"Especially today as we fight the war on terror - against an enemy that represents hatred, extremism and stands behind no flag - we need to remember the sacrifices that have gone into protecting our flag"
"Democrats' attack on the Republican majority leader is nothing but a coordinated agenda to stop an effective leader from accomplishing the people's business"
"We shouldn't have politicians micromanaging this war because it is complex and unconventional"
"The Army War College has been a tradition in central Pennsylvania for years"
"While America has always been and always will be a safe harbor for those being persecuted by tyrannical governments we must be vigilant to ensure those individuals are not taking advantage of America's generosity and good will"
"The flag represents all the values and the liberties Americans have and enjoy everyday"
"Government spending is being restrained, the economy is making progress and moving forward, and the pro-growth, tax cutting policies put in place have allowed businesses to grow, which has brought in additional tax revenue to help pay off the debt"
"We need to enact a strong standard that will stop a terrorist or illegal alien from getting a driver's license because border security is a major concern in a post-September 11th world"
"President Bush has a record of cutting taxes, has provided a prescription drug benefit for seniors, has upheld the Second Amendment and remains committed to stopping liberal activists judges who are redefining marriage"
"Our first responsibility is to protect the American people and we cannot put on blinders to expect that everyone who seeks asylum does so in good faith"
"It is imperative for the health and safety of millions of workers that we ensure that breathing systems needed for protection are widely available, convenient and economical"